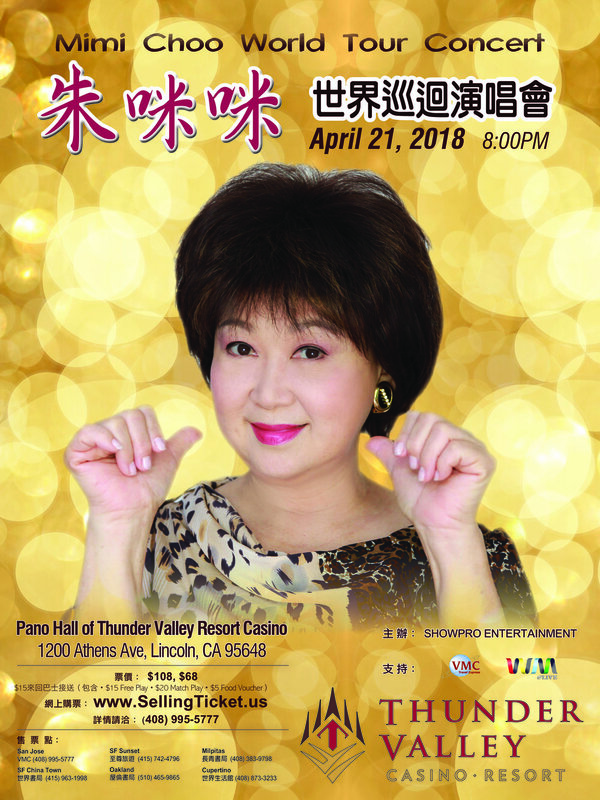 Vietnamese Variety Show at Thunder Valley Casino! TWO SHOWS: 7:30PM & 9:30PM. Additional Details Coming soon!! Hong Kong's Cantopop singer/songwriter/actress Ivana Wong joins with famous Taiwanese singer and songwriter Dave Wang for a spectacular night of music under the stars. Must be 21 to attend. However, guests between the ages of 13 - 20 may attend if accompanied at all times by an adult 21 years of age or older. Upon entrance and prior to receiving your ticket, each guest will pass through a security metal detector, and guests will be subject to search and additional metal detector screenings. Bags, purses, backpacks and other carrying parcels are subject to search. After leaving the venue, guests are subject to an additional screening and/or search upon re-entry to the venue. The enchanting sights and sounds of Vietnam take center stage as the brightest Vietnamese stars perform under the stars at Thunder Valley's outdoor ampitheater. *SPECIAL BUS PACKAGES AVAILABLE STARTING AT $50 FOR ROUNDTRIP TRANSPORTATION AND CONCERT TICKET. PLEASE CALL 408-995-5777 FOR MORE INFORMATION. Must be 21 to attend. However, guests between the ages of 13 - 20 may attend if accompanied by an adult 21 years of age or older. Please call 408-995-5777 for special bus package and concert ticket deals! Seats filling up fast, call today! *No ticket necessary. $10 Cover Charge.